The Huddersfield Examiner reports on the sentencing of a man who made racist comments about “giv[ing] the P**** what they deserve” while brandishing a meat cleaver in Dewsbury. Jonathan O’Brian, 33, was swigging from a bottle of cider and walking along a footpath on 16 July with a meat cleaver tucked into the waistband of his jogging bottoms. When he came across a man on the footpath, O’Brian stopped him, pulled out the meat cleaver and said “look at this”. The passer-by, who noticed young children also walking along the footpath, alerted the police. When police arrived, O’Brian hid in bushes, concealed the meat cleaver in undergrowth and appeared before officers only holding the bottle of cider. 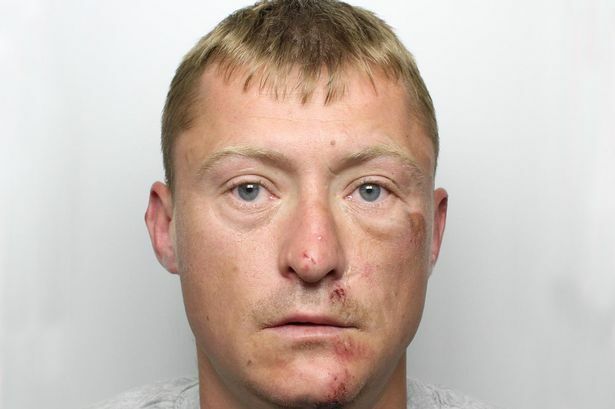 He was arrested and police records show that at the time of his arrest he was under a community order imposed on May 1 by Kirklees Magistrates for an offence of damage. Appearing at Leeds Crown Court, O’Brian admitted having an offensive weapon and causing racially aggravated fear of violence. Judge Sean Morris said a custodial sentence was “inevitable”. O’Brian was jailed for 21 months.